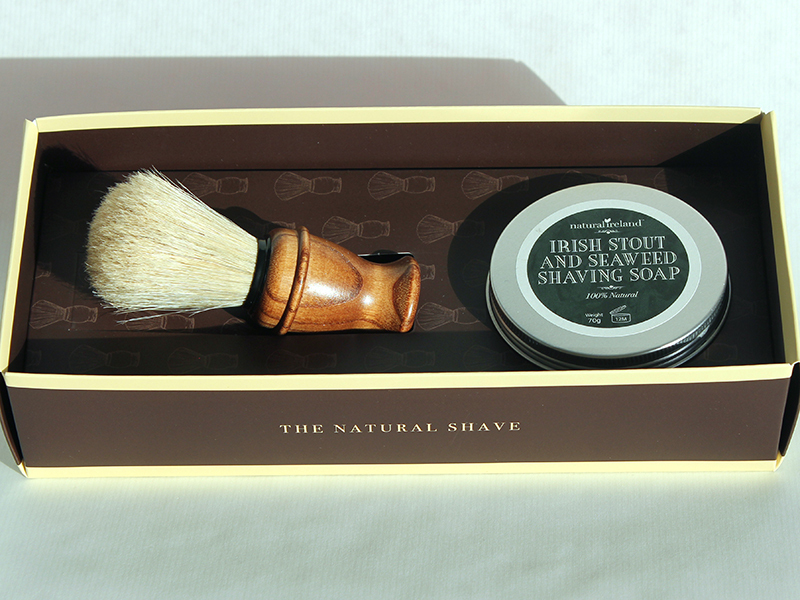 This beautifully designed luxury shaving gift set includes our handmade Irish Stout and Seaweed shaving soap has a high grade boar-hair shaving brush. The design of the set features a distinctive shape which is exclusive to our brand. 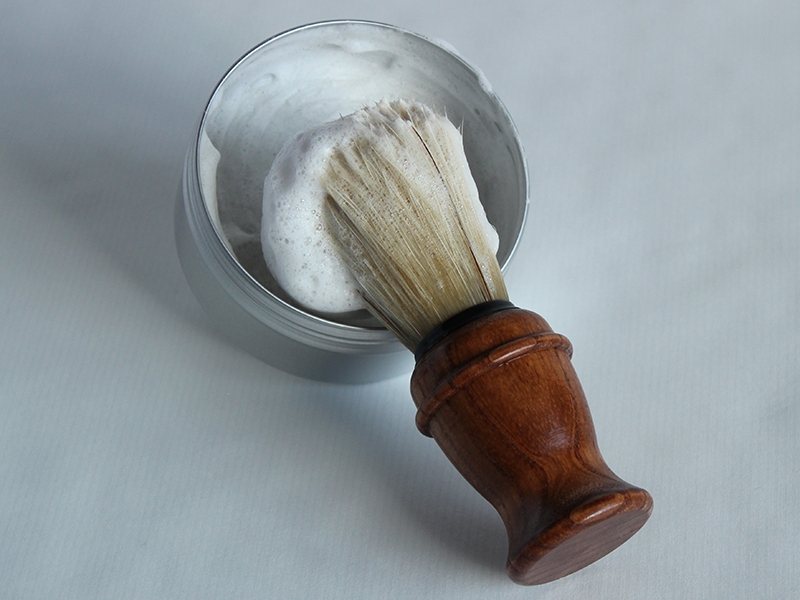 The pure boar bristle shaving brush has a tall loft and has a gorgeous wood grain which looks great in any bathroom. Other features of this set include a stunning information leaflet and a colour coded sleeve which denotes the shaving soap in the set. 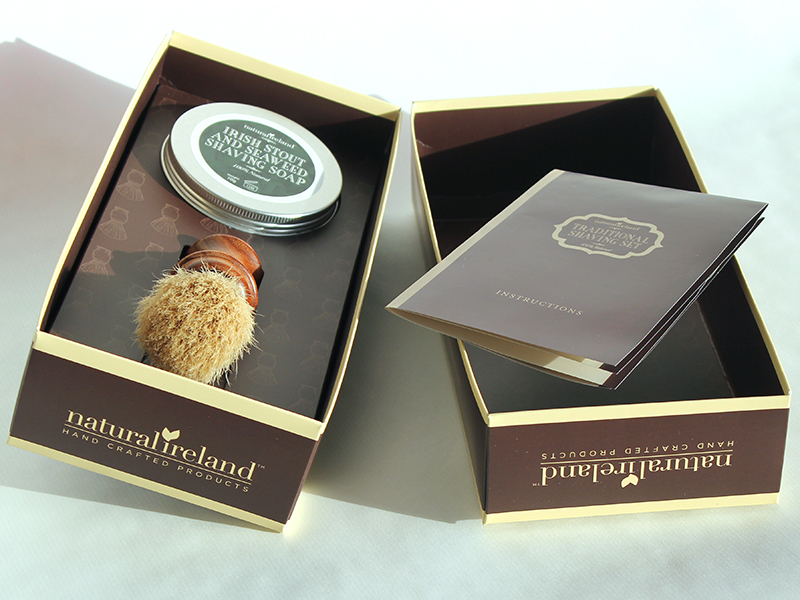 This beautifully designed luxury shaving set is a gift any man would appreciate. 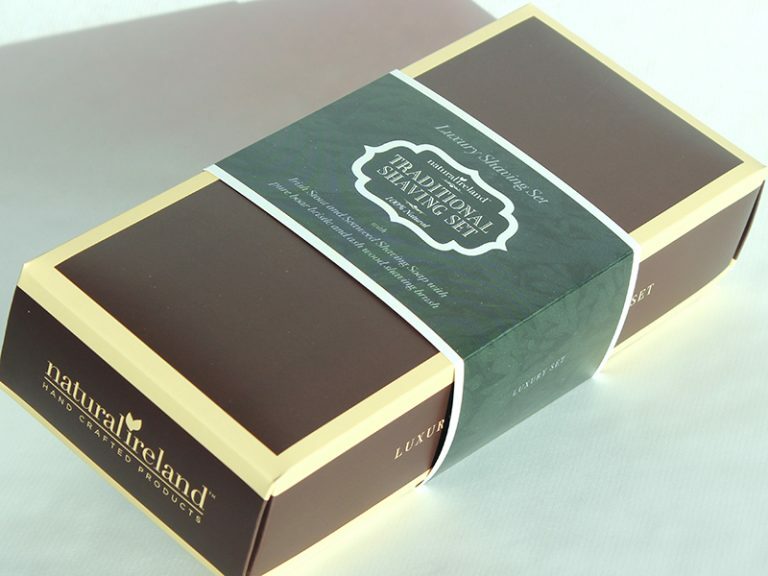 This luxury gift set contains our popular Irish Stout and Seaweed Shaving Soap. 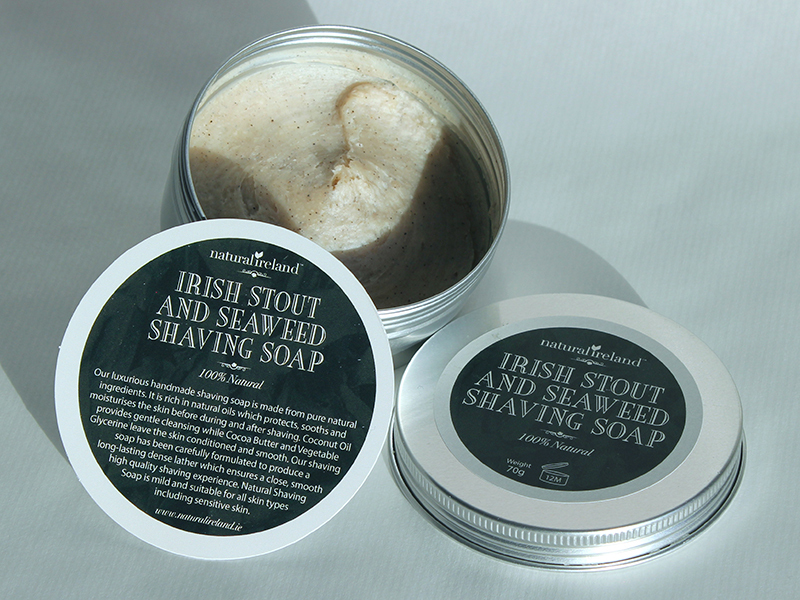 Irish Stout and Seaweed Shaving Soap has a distinctive beer fragance as it is formulated using Irish stout from our local craft brewery in Drumshanbo, Leitrim. 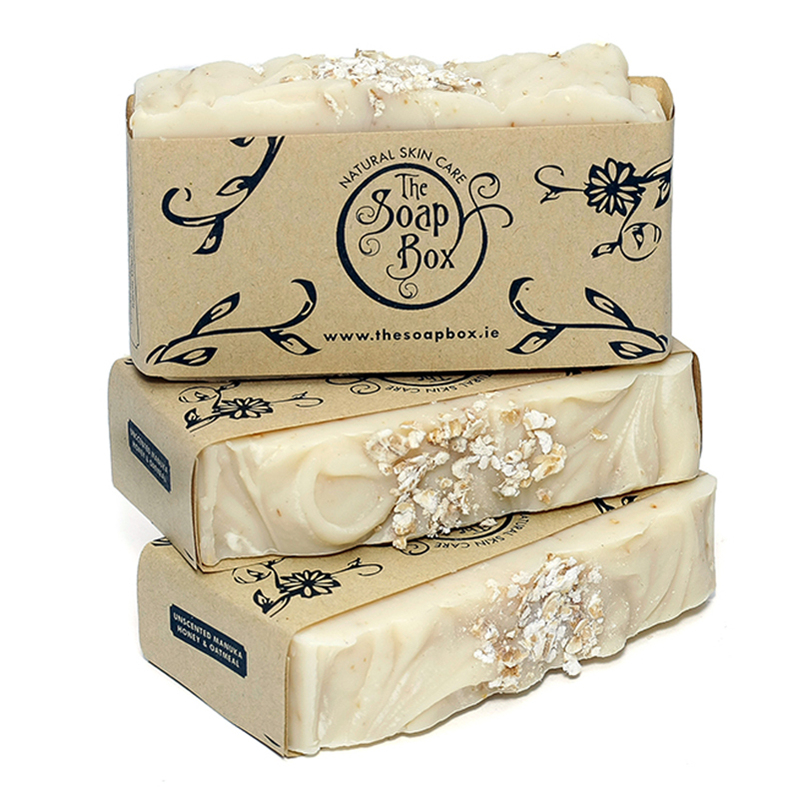 This soap also has the added benefits of seaweed as it contains seaweed granules. 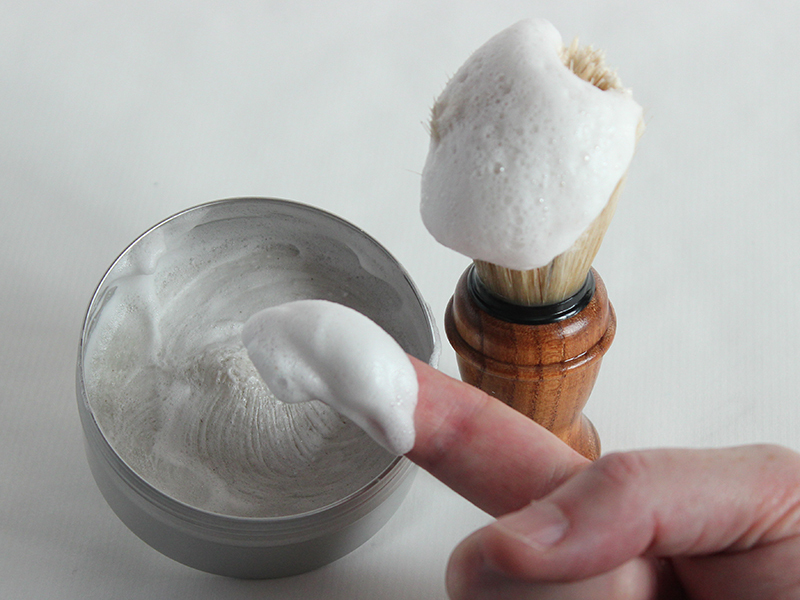 The shaving brush in this luxury set is a pure boar bristle shaving brush. 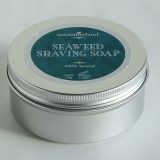 It has a superior tall loft which means that it brings more moisture to the face during the shaving process. The handle has a gorgeous wood grain which looks great in any bathroom and perfectly compliments our natural shaving range. I bought this for my dad and my brother last Christmas. 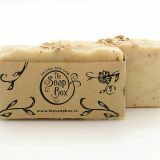 It was a beautiful present and the lads report that they get a really close, smooth shave with the soap. So everyone is happy.